Wind energy, a renewable energy source, has great potential to solve environmental concerns that we are facing today. It reduces your energy costs drastically, and it also makes your environment clean being a pollution free source of energy. A home turbine could prevent about 2 tons harmful pollutant from entering the atmosphere. Residential wind turbines tap wind powers and turn it into the electric generator. 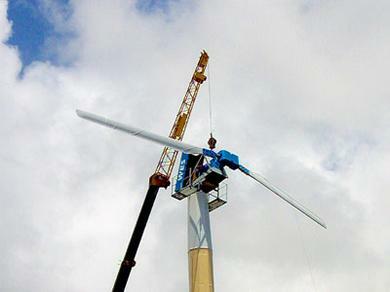 These turbines are installed on a tower or high place. A wind turbine that’s installed at home is hooked up onto power meter, and power energy is drawn from the turbine first then from the normal electricity provider. Whenever the wind is not blowing or blowing slowly, the supply comes from Electricity Company and their meter works normally and records all the units you utilize. When the wind blows these turbines generate power and all your supply comes from these generators. Whenever the wind blows 10 miles an hour, then the turbine produces energy more than your usage, so the rest of the energy goes to the electrical grids and give supply to your neighbor’s home. In this situation your power meter runs in reverse and credits you for supplying electricity. Before buying the wind turbine for your home, you should calculate that how much energy would be needed for your whole home. A typical house uses about 9400 KWH of electricity a year. That means you would be needed about 780 KW hours a month. So, after depending upon the wind’ speed of your area, you would be needing a wind turbine in between 5-15 KW range. The initial cost for buying home wind turbine is in the range of $6,000-$25,000. It’s not much, because your electricity bill reduces when you will start the home generated electricity. 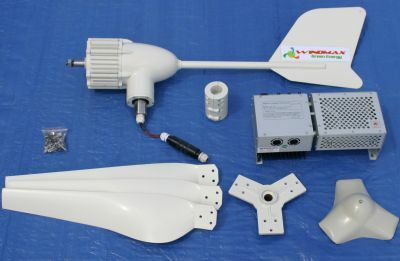 Though the proper height for home’ wind turbine is usually quoted about thirty feet, but, in many cases, if you place your wind turbine on higher location, it would be better for you, the higher you go the wind pressure gets increase that is running your turbine faster and generate more energy. If you keep the lights off on the windiest day, you can earn money by selling extra power to Electricity Company. So, investing in home wind turbine could be a saved money making source for you. The DIY route is a system for making small wind turbine, by the help of this you can make a small wind turbine for your house power production yourself. Its cost is only 300 to 500 dollars with some additional cost of fixing the current with the house. With this system you will get back your investment very soon. The worth of your house will increase, especially when you want to sell it. For example, the rate for one KW electricity is $0.10 per hour and turbine generates 650 KW hours per month that mean your turbine is saving $65 a month on energy bills. There is a little problem with the Home wind turbine, that it creates noise, though it doesn’t interfere with your daily task. The noise produces when a blade’s edge is not shaped.